Congratulations on your decision to hit the open road! 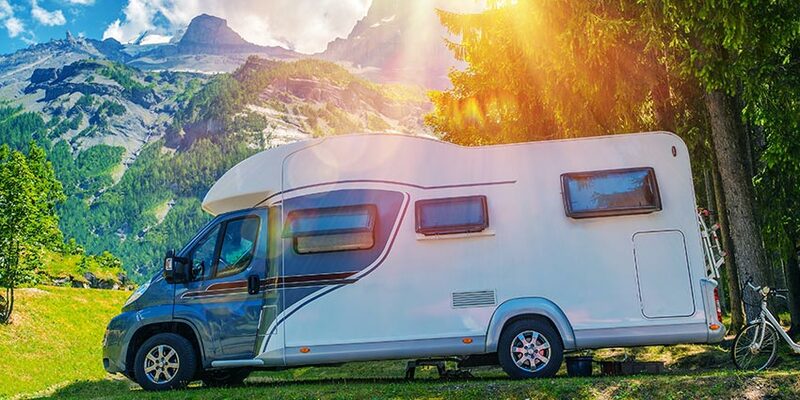 Whether you have already secured your recreational vehicle or are still considering your options, chances are that it will take some work to make it feel like your own. Like home. Especially if you are traveling for long periods of time, you want your dwelling on wheels to possess all the home-like comforts you’ve come to appreciate. 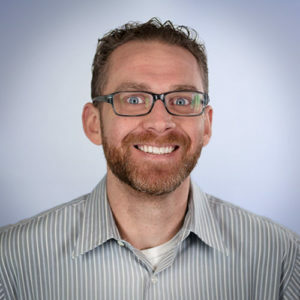 As such, there are a few things that you should consider implementing that can help make your RV feel less like a vehicle and more like home. One of the major distinguishing factors between a house and a home is that in a home individuals should feel welcomed the moment they walk in. They should feel as if they belong. By the same token, an RV should be a representation of all those who live in it. Whether it just you and your spouse or your entire family sharing the space, you should all take the time to come together and collectively decide how the RV should be decorated. This could prove to be a fun bonding activity before hitting the road. If you have areas sectioned off for each individual you should allow them to personalize their personal space. Or maybe you leave it as a blank canvas and decorate it with mementos you’ve collected throughout your journey. Whatever path you decide to follow, you’ll definitely want to try to accommodate all reasonable requests from everyone along for the ride. Switching out or adding different lighting (LED lights are softer than fluorescents and more energy efficient), fixtures and handles. Add rugs, curtains and other pops of color to the different areas of the home; it helps change the aesthetics of the room as well as differentiate the different areas (i.e. make a clear distinction between the kitchen and the dining area). From family photos, to your children’s artwork or just painting the walls a different color, not only will this make your RV feel more welcoming, more like a home. Consider adding a couple of houseplants. Not only have they been proven to improve your indoor air quality, but they also add to the cozy ambiance that transforms your RV into your home. Besides the obvious examples above, there are many ways to decorate your RV. When deciding upon the décor, there are a few other things that you will want to keep in mind. Since your RV is a small living space, if you plan on painting the walls, it’s wise to consider not only what colors you like, but also what shades are most versatile. If at any point you want to change or alternate your décor, having neutral or natural colors can be very helpful. Also, certain colors can help to set certain moods or open up the space. For example, the color orange encourages positivity and creativity, while blue promotes positivity and is a common color for accent walls because it helps make your small space appear larger. Along with colors, you can also utilize different patterns to liven up different areas of the camper and distinguish certain areas. Another great way to make your RV feel like home is to place different elements and pieces from your home in it. Whether it is your dishware, a statue or a few throw pillows from the couch, these small touches can make a big difference in your day-to-day comfort. Also, just as you would bring souvenirs home from a trip, you can also select specific items along your journey to decorate your RV. Making the transition from a home to an RV doesn’t mean you have to give up the luxuries that many of your home appliances provide you. There are a wide range of appliances designed for an RV that you should consider adding to make your day-to-day adventure easier. Let’s use laundry as an example. It’s one of those never-ending chores that we all have to do. 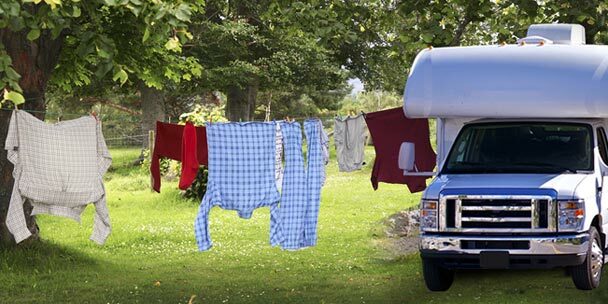 You may think that doing the laundry in your RV would be a difficult task, yet there are many ways you easily complete this chore. The recommended method is to purchase a washer/dryer combo that is able to both wash and dry your clothes in one machine, yet is still compact enough to fit snugly in your RV. You can also use public laundromats or simply hand-wash and line-dry, but neither of those methods are as convenient as using an on-board appliance that can do the same task at a push of the button. Though there may not be too many items that you can move around in the RV, you should make sure that the things that you put in place create an enjoyable and functional space for everyone to enjoy. In this effort, storage bags and containers are your friends. Buy yourself some containers of different sizes. This allows you to clear the clutter and store them in a few different places around the camper. As you go about your travels chances are that you will be collecting and acquiring a lot of new items. Therefore, you will want to periodic purges to avoid massive clutter. Incorporating the five elements of feng shui—wood, fire, earth, metal and water—may help set the mood and energy within your RV. Each element represents a different “kind” of energy and if you’re a believer of feng shui, you can replicate that same energy by integrating these elements into your RV. If it’s possible, we’d recommend that each individual on the RV should have an area that is all their own. Even in an enclosed area such as an RV, creating personal space is important, especially for developing children and teenagers. If you do have children with you, work with them to select and create their personal space. If it is just you and your partner, you should still designate your own personal areas. 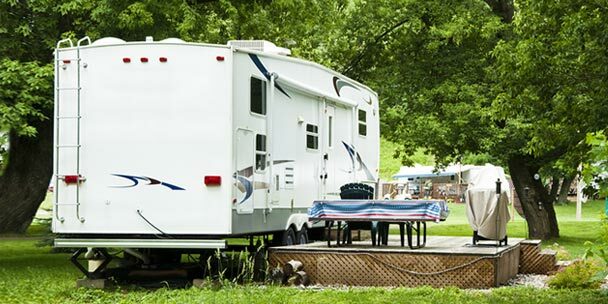 Depending upon how large your RV is, it can be a larger or a smaller area, or it can be designated to different individuals at certain times. It could be as simple as a certain chair when you are reading or a section of the van when the child is doing homework. Whichever way you choose to do it, the point would be to create some kind of boundary or understood agreement that this time and space is dedicated to that individual enjoying time with themselves. Every now and then you want to shake up the monotony and change your décor. You might even consider redecorating as the seasons change and various holidays approach. You do not have to start from scratch or do a complete overhaul of your RV, unless you really want to. If you select versatile pieces, colors and patterns then you can interchange different elements quite easily. For example, a common pattern that is found in most homes is an array of fruit. This is because it is a versatile pattern that can stand alone or be added to for certain holidays/events, such as Christmas. Consider patterns such as that, or natural colors, such as beige, yellow, sky blue or forest green. 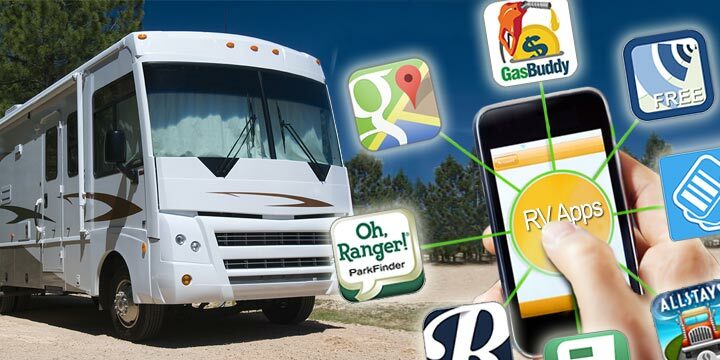 As your home on the road, you will be spending quite a bit of time on your RV. Therefore, it is a healthy investment to make it feel cozy, comfortable and all your own. Any of the aforementioned options can help transform the common features into a customized space for you and your loved ones to enjoy. Just make sure that you incorporate elements from all parties and that you take your time and enjoy the process together in making it your home away from home. House plants are awesome, but be sure you won’t be traveling with them to states that prohibit bringing in plants without special permits (AZ and CA, for example). It’s heartbreaking to have to dump them in the trash. Mints make beautiful house plants, and you can pinch off a couple of leaves for fresh mint tea. Try eBay for nearest TT’s or Craig’s List. So true. When I was done with the new curtains/valences and dinette cushions, I covered the existing ugly wallpaper borders in the bathroom and kitchen area with styles more to my liking. What a difference! I am currently updating my 1993 5th wheel. The flooring is particularly horrendous. From the dusty pink carpet in the sleeping area to the 1960’s era linoleum that THIS gal is not going to wax. Instead my plan to to paint the entire floor with porch paint. If I decide I don’t like it, bamboo is going down next year. We did the stick on vinyl tiles around the kitchen sink, and stove and in the bathroom sink and behind the toilet. Made such a difference. My husband and I just purchased a new, never used travel trailer. I love the trailer and the way it is laid out, but unfortunately it is very dark inside because of the dark cabinets and walls and trim. It also has tinted windows which help keep it dark even when the shades are completely up. I am the type of person who is effected emotionally if my living quarters is not bright and cheery. My husband would be very much against painting because it is brand new. Do you have any suggestions on how to brighten up the trailer besides painting. I know this is a difficult question but any advise would help. The stick on tiles come in lighter colors or shiny colors that would brighten it up. Get some under cabinet LED lights in a color you like. There are strips that self-stick but I would staple them instead. I made new slipcovers for the dining area, a favorite bright blanket on the back of the couch and my son made me some fluffy pillows with a big dragonfly on each. Used burnt orange rug and towels in the bathroom. Also make or buy hanging files in bright colors. Try running some warm white LED strip lights under all the cabinets. They have self adhesive tape on the back. Don’t peel off the cover strip, first try it with Presstick to see if you like it. I too love wood but darkness is just not on. I wand light, lots of it. I put up removable wallpaper that I bought at Target. It comes in a variety of patterns and, though slightly expensive, is affordable for the small amount of wall space in an RV. Our new TT is also very dark (are men decorating these campers?). I brightened it up with teal and orange throws pillows and throws and braided runners as well as bright, cheery pictures (all from Home Goods). The best thing I added to my pop-up, is an over door shelves. It was a little tall, so took a hack saw to it. It fits perfect behind my sink.Holds all my groceries. Bread foods are kept in refrigerater. I take an ice chest. I did not like the dark interior of our new 18″ Coleman TT. I bought contact paper in a turquoise pattern for the “kitchen” walls, and a gold pattern for the couch and bed area, as we also did not want to paint walls in a brand new trailer. I covered the leatherette couch with a quilt, changed out the bedspread for vintage quilt and shams, put personal pictures on the walls, removed two wood valances and replaced with curtains, and covered the large valance over the couch and in the “kitchen” with vintage material. I changed the shower curtain and added a vintage towel bar (why would Coleman NOT put a towel bar of any kind in the bathroom!?) I agree with the comment about “who’s decorating” because it used to be horrendous fabrics; now it’s all dark interiors. 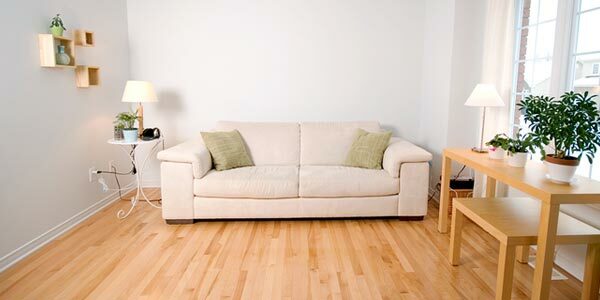 At least they are improving the flooring – we have a beautiful weathered wood look vinyl that is so easy to keep clean. The only rug I added was a hall runner along the slide to keep that only bit of carpet clean. It’s so much fun redecorating the small space! My style is vintage country/flea market/bohemian/ Victorian so we call our trailer The Gypsy Wagon. I love plants, too, but with no table tops to keep them on, after two long trips, I promised my husband no more plants. They went from the shower to the sink to the truck bed to outside. “Of course, you will be surprised, but there are reasons why you should think about buying a motorhome. And today we will tell you what to think about carefully before buying a house on wheels. 1. To buy a motor home and put it in a garage is a bad idea. If you are not going to travel, at least from time to time, do not buy a motor home. First, take a camper for rent and try what it is. Having tried the “”taste”” of traveling with a house on wheels, you will better understand what to expect from caravanning. When we bought our RV diesel pusher there had been mirrors on the walls under the kitchen cabinets. They had been removed by the former owner, so I decided to put white bead-board paneling in place of the mirrors. It has definitely brightened up the whole inside of the RV. We also replaced the beige carpet with peal & stick floor tile which made a big difference in cleaning. Mirrors on the closet doors and anywhere else possible will brighten your trailer.